You most likely already carry an expensive recording device around with you everywhere you go. We’re talking, of course, about your smartphone. 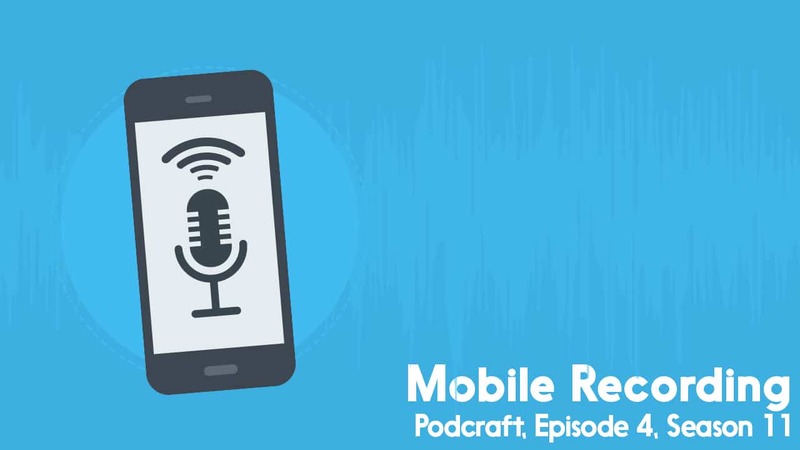 In this episode of PodCraft we take a look at the different gear and options available for turning your phone or tablet into a fully functioning podcast studio. You can also record on-the-go with digital recorders, portable interfaces, laptops, and even mixers. We’ve already covered this in previous episodes of PodCraft, so check out the links there for more info on that. No matter what kind of recording setup you think you’ll need, or whatever kind of podcast you’d like to do, you can get all the help, support, and advice you need inside the The Podcast Host Academy. In there, we run regular live Q&A sessions, have courses on everything from equipment and editing to promotion and monetisation, and a load of downloadable resources, checklists, and tools designed to help you achieve your podcasting goals. It’d be great to see you in there!